You are viewing the World Book Night tag archive. 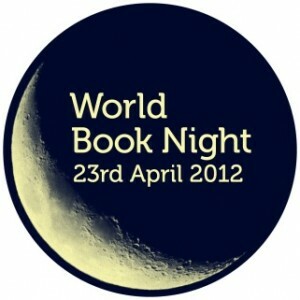 This year for the first time, I will be a book giver for World Book Night, which is this evening! This worldwide effort celebrates reading and asks avid readers and book lovers to volunteer to hand out free books to people – the hope is that these book givers will hand the books to non-readers, people who do not have easy access to libraries, or people who may not be able to afford to buy books for themselves. The titles chosen range from middle grade to YA to adult titles; classics to contemporary works; poetry to nonfiction to fiction; English and Spanish; award winners to best-sellers. Book givers can choose which book they are passionate about and hand out 20 copies of them. The authors and publishers of these books have printed special paperback editions and are willing to go without royalties so that they can spread a love of reading and a communal passion for popular titles with everyone. The list is well developed, featuring a decent spread of genres, ethnic and racial diversity, and themes. On Monday night tens of thousands of people across our country gave and received books–lots of books. I was lucky enough to be counted among their number and had a great experience. Seeing the reactions on people’s faces is, as the commercial says, “priceless.” In my little corner of the world, I handed out 20 copies of The Hunger Games to unsuspecting townsfolk both young and old. From the local martial arts school to the McDonald’s drive thru window, spanning three counties in two states, the book prevailed. People were surprised (“Wow”), thrilled (“OMG *fan girl squeal*”), suspicious (“What’s the catch?”) and grateful. The best stories are of those teens who said things like, “The library copies are always out, and I don’t have the money to buy my own.” That’s why we did this!